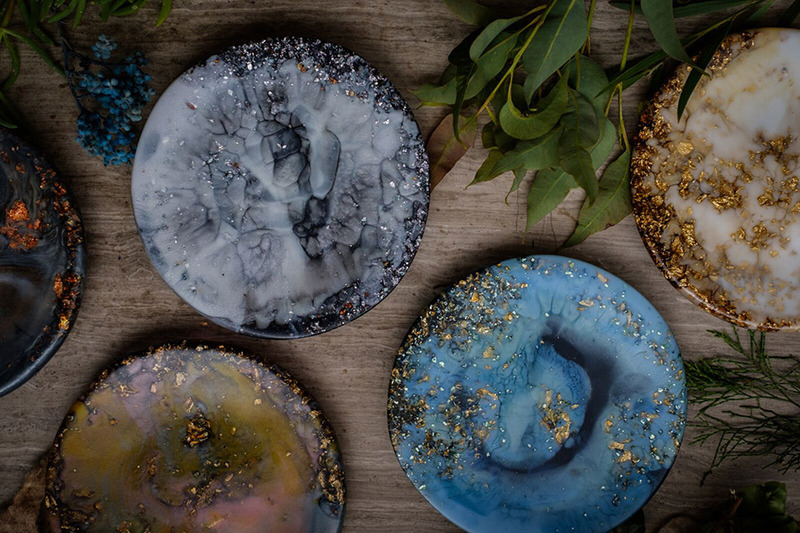 Working collaboratively across the country, sisters Hanna and Gabby create striking jewellery and homewares using a special sustainable eco-resin under the label Nanna Woo Handmade. 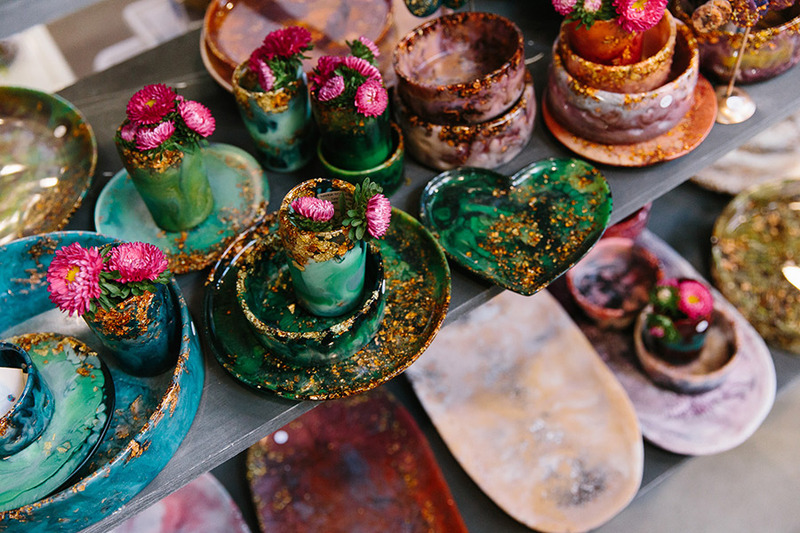 We are delighted they will be making the journey north to our Brisbane market next weekend, so read on to discover more about their creative process! 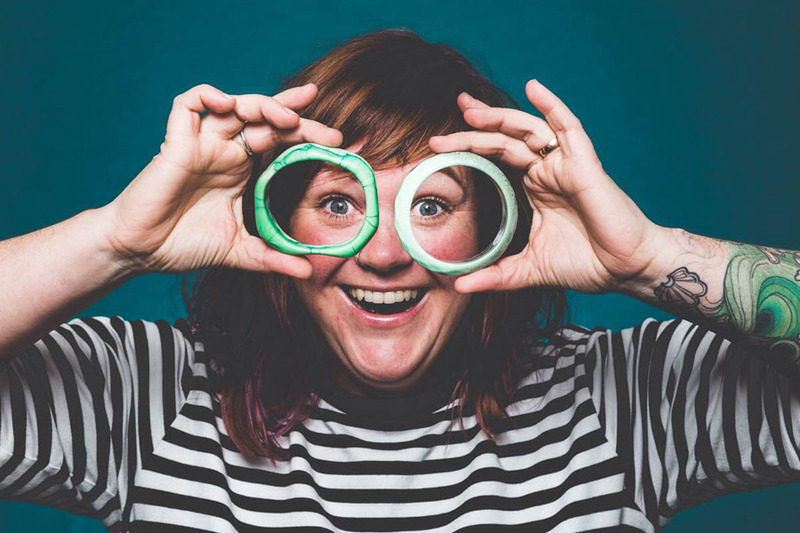 My name is Hanna Woolley and originally from Melbourne, I made Tasmania my home 14 years ago. 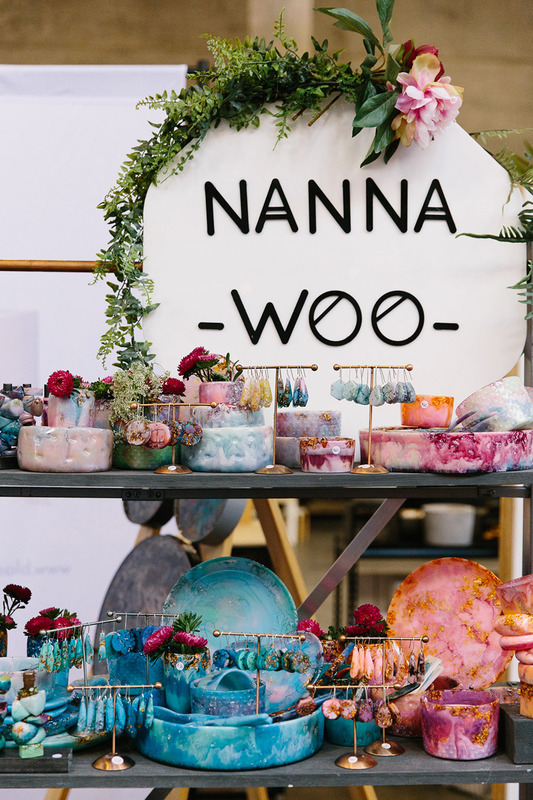 Nanna Woo Handmade began as a creative outlet and hobby after having our first child nearly 9 years ago. The processes, designs and materials being used have developed over the years with a stronger focus on sustainability. After having our second child 7 years ago and still working from home, the last 2 1/2 has seen Nanna Woo go from a solo business to training my sister Gabby who lives in Melbourne. She now pours and is an integral part of my business. Look at the high standard of stall set ups from previous stallholders. It’s really important to engage with your customers. Be confident in the product you’ve made and selling. Tell us something exciting that you have planned for Nanna Woo Handmade this year. I started making larger pieces in our Metanical Range and have introduced wall art which contains lots of botanical inclusions. It’s now my most joyous thing to create. They’re very sentimental and special. My sister Gabby! She has spent so much time learning the ins and outs of resin. I completely trust her ability to create the Nanna Woo flair and signature style. We often video call each other as we live in different states and compare colours and effects and of course our boo-boos. She is also my sidekick at Finders Keepers and it has made us closer than ever. The Metanical Range is extra special. 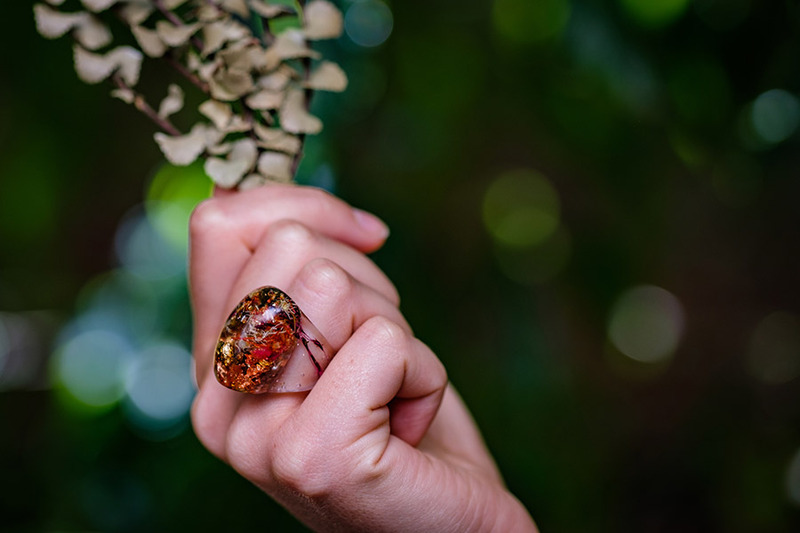 It is a combination of embedded metallic foil and botanical specimens which we thoughtfully forage with our children in Tasmania. 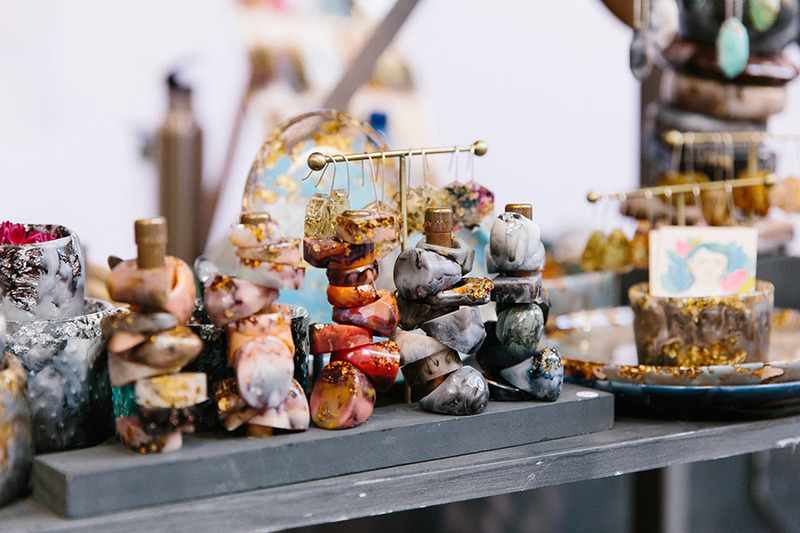 We are often told the Metanical jewellery and homewares tell a story and reflect a little moment in time and people connect with them. For a while now we’ve taken on special commissions that is “Encapsulate”. 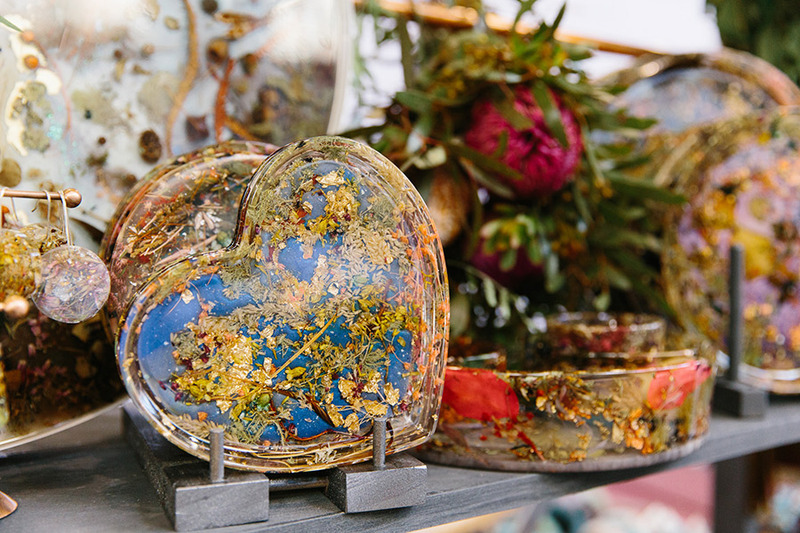 These are dried flowers that have been collected from a special occasion like a wedding or birthday that we turn into a sentimental keepsake. We love that customers often come to Finders Keepers to deliver them.